From twirl-worthy dresses to scented pillows to a Turkish bath towel: just an eclectic mix of some *really awesome* things. 1. A gorgeous bilingual picture book of Selena, because we'd do anything for Selinas. Get it from Amazon for $7.88. 2. A faux-leather quartz wrist watch that'll let you know exactly when you should anticipate the werewolves. Get it from Amazon for $3.88. Available in three colors. 3. A grape scented throw pillow to make your bed smell as delicious as it feels — for at least two years! Get it from Amazon for $24.99. Available in a variety of scents. 4. 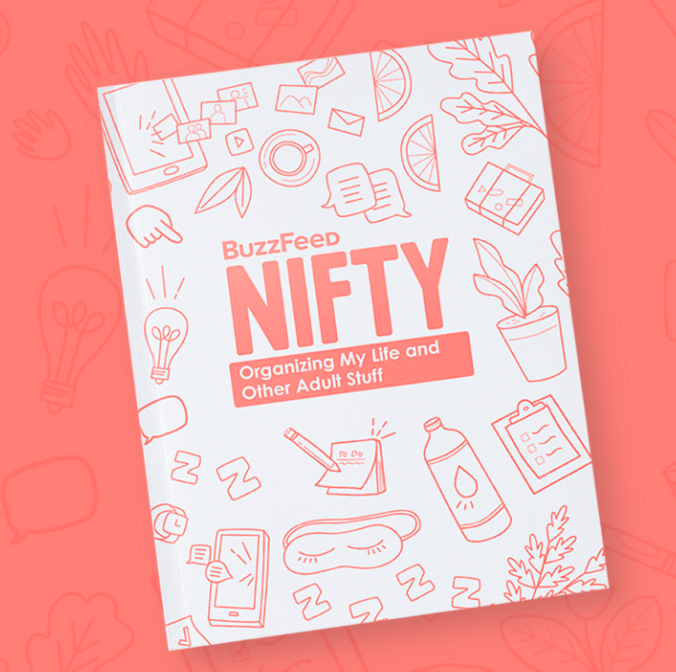 A super BuzzFeed Nifty journal designed so you can craft out your day and keep your hectic life organized. Get it from BuzzFeed's Nifty shop for $22.95. Available in Adulting 101, General Journal, and The Busy Parent. 5. A roll of 100 pizza stickers, because what better way to tell someone that they have a pizza your heart than with a delicious looking sticker? Get it from Amazon for $4.98 or from Walmart for $6.99. 6. A three-tier over-the-door drying rack that'll let you air dry your favorite sweaters without risking the damage of having to hang them. Get it from Amazon for $8.99 or from Jet for $12.84. 7. 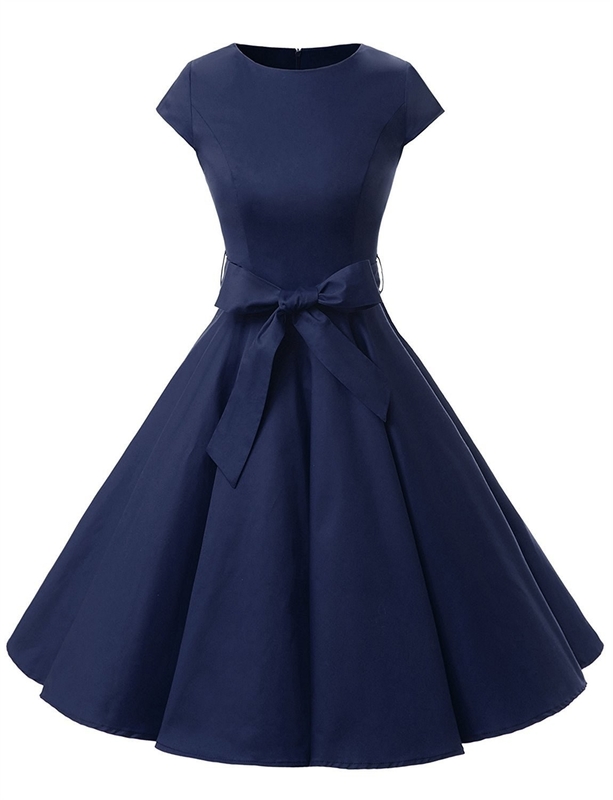 A vintage-inspired flared dress just in time for all your upcoming festivities or a Roman holiday. Get it from Amazon for $18.69+. Available in sizes XS-3XL and in 45 color options. 8. An interactive journal designed to help you find inspirations and motivation through unique prompts and activities. Get it from Amazon for $12.80, Barnes & Noble for $12.99, or a local bookseller through IndieBound here. 9. A pair of cozy AF slipper socks selected by the one and only Ms. Winfrey as one of her favorite things, so you damn well know they're probably amazing! Get it from Amazon for $12.99+. Available in nine color options. 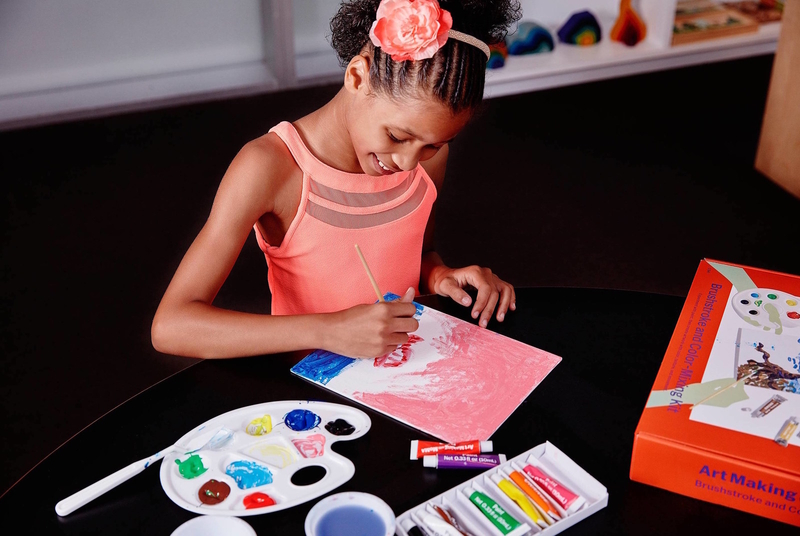 See more of Oprah's favorites here. 10. A perfectly spooky party cookbook filled with delicious recipes and fun crafts to make your holiday party the talk of Christmas Town. Get it ~exclusively~ from Barnes & Noble for $12.04. 11. 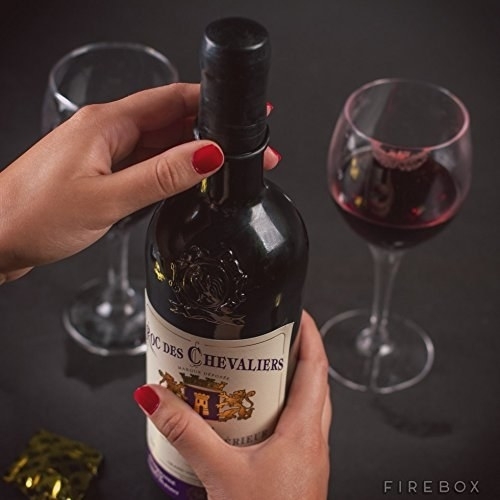 A totally reusable bottle stopper that'll help you practice safe drinking — your wine should always wear a rubber. 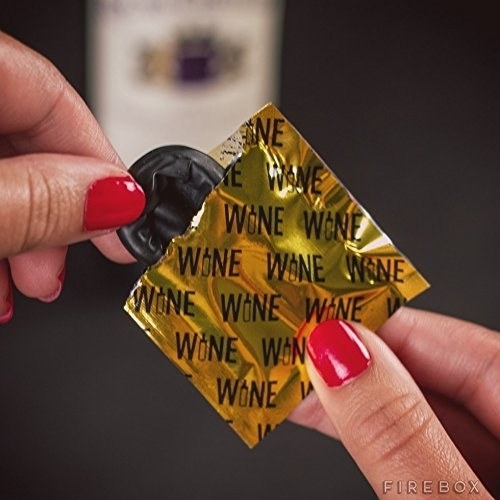 Get a full rundown of Wine Condoms here. 12. A preshrunk 100% cotton T-shirt for when you want to reminisce about your youth. Get it from Amazon for $12.99+. Available in sizes S-3XL and in nine colors. 13. A fun and often hilarious party game designed to make everyone in your family act, draw, and talk their way through crazy scenarios. Promising Review: "This game, a group of friends, a bunch of beers, and your night will be awesome!!! It's not one of those games where it gets boring after 3/4 times after you play it. There's always something new to draw, act, or describe! Also, this game can be played with kids since there is no rated R stuff!" —Roberto P.
Get it from Amazon for $11.25. 14. A limited edition, coconut-scented, vitamin E-infused, 24k gold glimmer balm that'll work with your lips’ pH levels to create a perfect pink stain (with a subtle hint of gold) on your lips. Get it from Winky Lux for $16. 15. 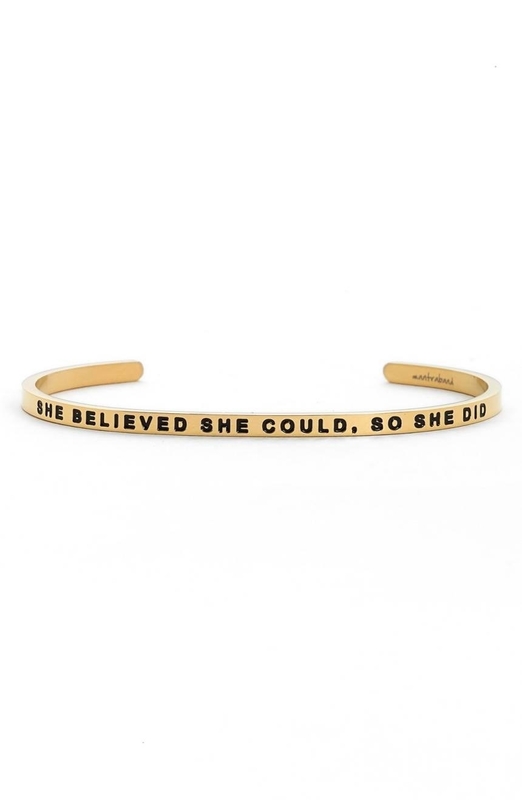 An 18K gold-plated cuff to serve as a daily reminder of everything you're capable of. Get it from Nordstrom for $35. Available in three colors. 16. A fast-drying 100% cotton Turkish bath towel you'll quickly wonder how you ever lived without. Get it from Amazon for $22.99. Available in 29 color options. 17. A hardcover magic notebook and wand pencil that'll be perfect at spell checking things for you. Get it from Amazon for $10.45. 18. A neoprene cord organizer designed to hold and organize your tech accessories all in one place with five compartments for everything from your cords, chargers, travel adaptors, earbud cases, and even your cell phone. Get it from Amazon for $16. Available in nine colors. 19. 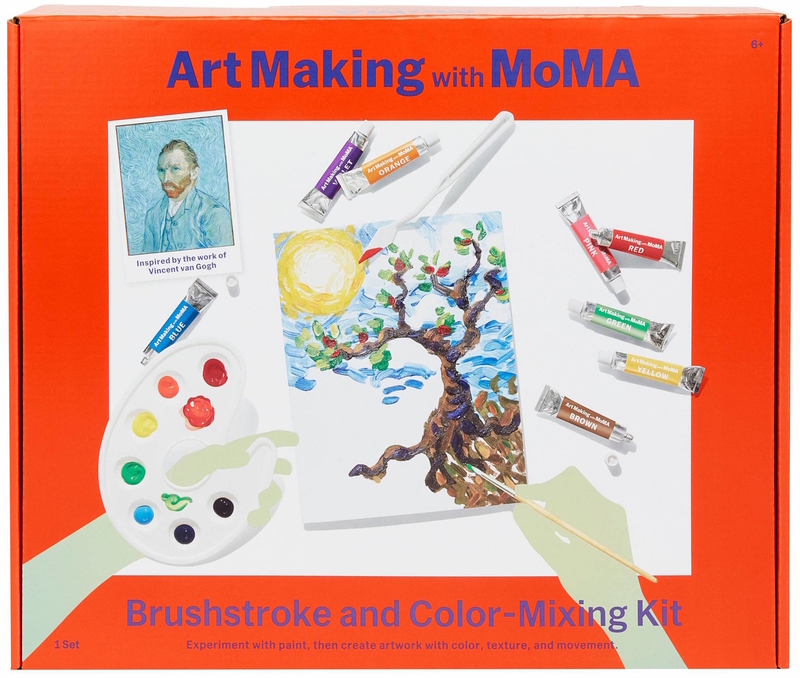 A brushstroke and color mixing art kit created by the MoMA educators so you can turn yourself — or your kids — into the next Vincent van Gogh. Get it from Target for $24.99. 20. A silky-soft 10-piece brush set with everything you need to make your next makeup look totally flawless. 21. A Christmas card for all your friends who are coming to the hard realization that they are now of the age where they have to buy gifts but probably won't receive any — specifically from you, because all you're getting them is this card. 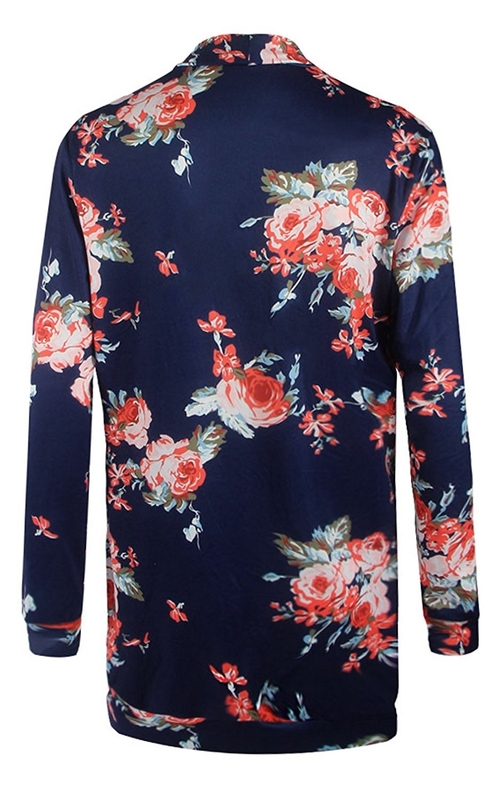 Get it from Typo by Cotton On for $2.99. 22. A set of festive straws that'll not only show your holiday spirit but also let everyone know just how talented and loved you really are. Get a 12-pack from American Eagle for $9.95. 23. A preshrunk cotton T-shirt so you can let everyone know that they're just gonna have to wait. Get it from Amazon for $5.24+. Available in sizes S-3XL and in a variety of colors. 24. An adorably chipped mug you'll never want to throw away. Get it from Amazon for $14.43. 25. A stainless-steel and silicone thermos purrfect for keeping your favorite beverages nice and warm. Get it from Amazon for $17.99. Available in four color options. 26. A beautifully delicate trinket tray inspired by the movie Coco that I CAN NOT WAIT TO SEE!!!! — it'll be perfect for holding all those things I need to remember before I run out the door to go see it. Get it from BoxLunch for $13.93. 27. 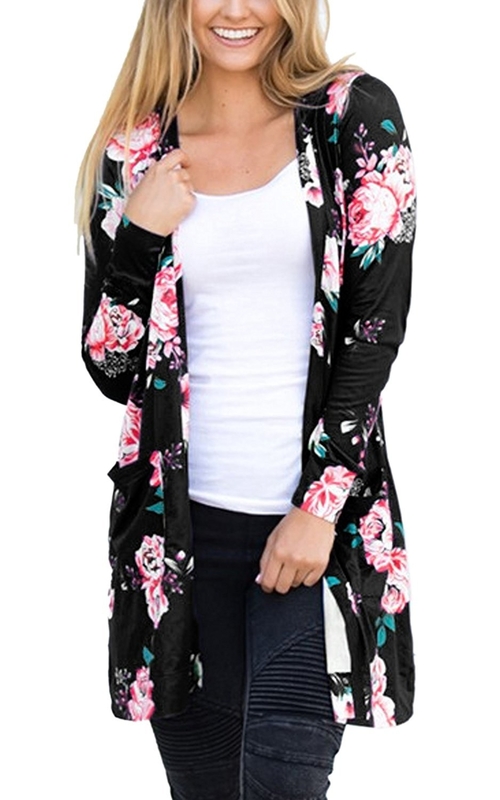 A kimono-style floral cardigan easily worn with your favorite T-shirt and leggings while you overeat this holiday season. Get it from Amazon for $16.99. Available in sizes S-3XL and in eight color options. 28. A delightful ceramic bowl that'll let you uncover an adorable little house as you eat. 29. A linen pillow cover perfect for when you need a little help falling asleep at night. 30. 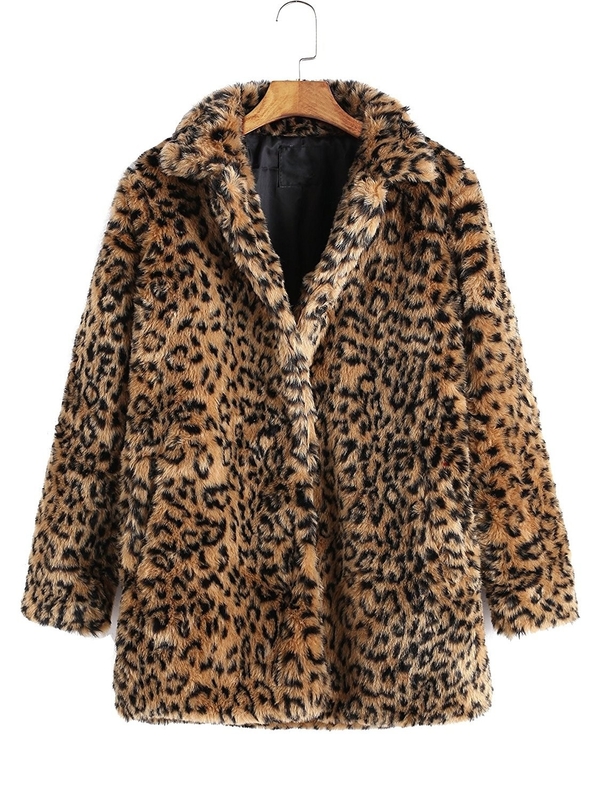 A faux-fur leopard print coat so you can rock that model-off-duty look like no one's business. Get it from Amazon for $27.99+. 31. And a box of delicious French goodies delivered right to your door, because food is always more delicious in French. Get this Provence Aperitif box from Bon Appetit Box for $75. All this awesome stuff has me in straight disbelief! Already have all this stuff? 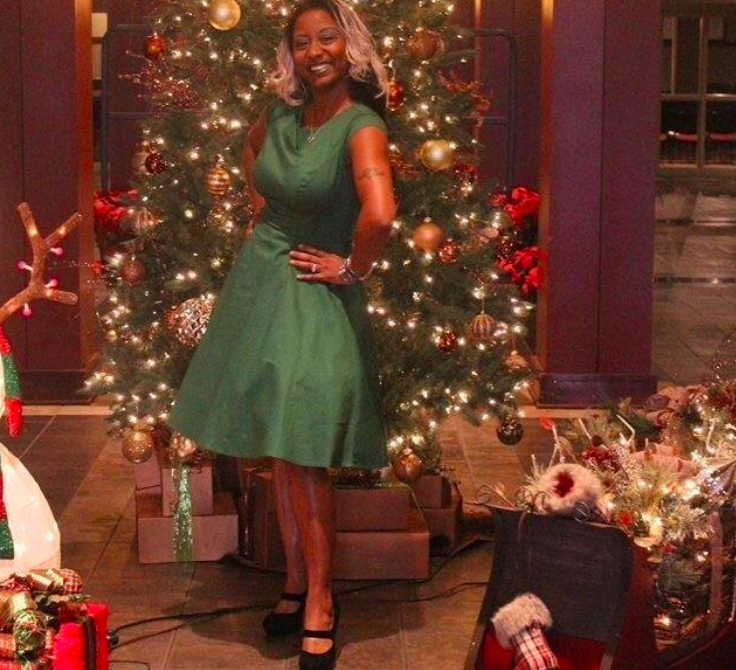 Check out last week's installment here.